We’re home from Foxboro after a full weekend of football and partying. 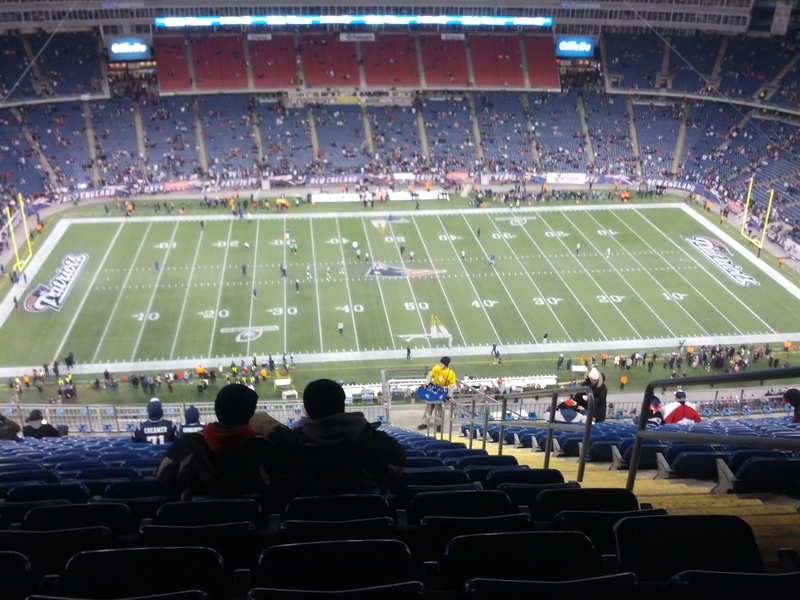 It was an excellent weekend, despite a disappointing loss for the Patriots. We got to Patriot Place around 1:30 on Sunday, and began our tailgating. We didn’t have much in the way of tailgate equipment beyond the beer we picked up, but were near some groups that had all sorts of stuff - including a TV running on a car battery that enabled us to watch the NFC Championship game. I’m in Providence getting ready to head up to Gillette Stadium for the Patriots-Ravens showdown. By a stroke of luck I managed to get a ticket Friday and drove up with some friends Saturday afternoon. The trip is off to a good start already, including some night club adventures in Federal Hill and the craziest cab ride I’ve ever taken. As my friend Michael pointed out, Providence definitely has the worst drivers in America.